Darin Aldridge has been a staple in local bluegrass circles for quite a long time now. This Cherryville native has had stints with several well-known bands; The Country Gentlemen, The Circuit Riders, and Acoustic Syndicate. For a fairly young guy, Darin is a long-time veteran of the music business, getting his start playing music at around age 8 at home with his family. His mother, who gave him his first guitar, played guitar and clogged, and his granddad on his mom’s side was a well-known bluegrass picker and player, so there was always music around. In his teen years, Darin played in a garage band with his brother Devon, playing mostly popular rock and roll on the radio. About the same time he was attending local bluegrass jams around the area, and before too long he was in a bluegrass band playing at local churches and festivals. Darin is known to play almost anything with strings on it, but in the beginning was primarily a guitar player. He learned to play the mandolin almost by accident. While practicing with his bluegrass band as a teen, the mandolin player was struggling trying to learn the opening to a song. Darin picked up the mandolin and said “play it like this!” The mandolin player shook his head and said “You just keep the mandolin, I’ll play something else”. You’d think getting married and settling down would slow a man down. Not so with Darin. He and his wife, Brooke Justice Aldridge, have kept the music playing. Brooke grew up with music as well, but in a different venue. Growing up in Avery County in the mountains, Brooke had a pretty amazing alto voice even as a youngster. Her family drove her to singing competitions far and wide, which she almost always won. With Darin’s instrumental virtuosity, and Brookes’ one in a million voice, they are a bluegrass dream team. This husband and wife duo continues to play music all over the country and have just released their third album, “So Much In Between”, back in August of this year. Darin and Brooke, also known as America’s Bluegrass Sweethearts, aim to uplift and inspire with the music they create. All twelve songs chosen for this latest album does just that showcasing such themes as happiness, faith and love. In fact, four of the twelve songs have love in the title. With So Much In Between, Darin and Brooke are keeping their momentum going from their previous album. They burst on the national scene in 2010 with the release of their self-titled album. As a result, they have garnered quite a bit of attention and notoriety. Just this past summer, the International Bluegrass Music Association (IBMA) nominated them for Emerging Artist of the Year. And while bluegrass circles have long been a fan of Darin’s work, he is reaching a newer audience with his work with Brooke. The new album is a little more Americana and country sounding than past albums. Yet, it’s still rooted in the bluegrass and gospel music that both he and Brooke are known for. Even some heavy hitters in Nashville are taking notice. The great country singer and songwriter, Tom T. Hall, makes an appearance on the new album. Not only did he write a song for Darin & Brooke, but he even sneaks in some vocals on his song, “Our Little World”. 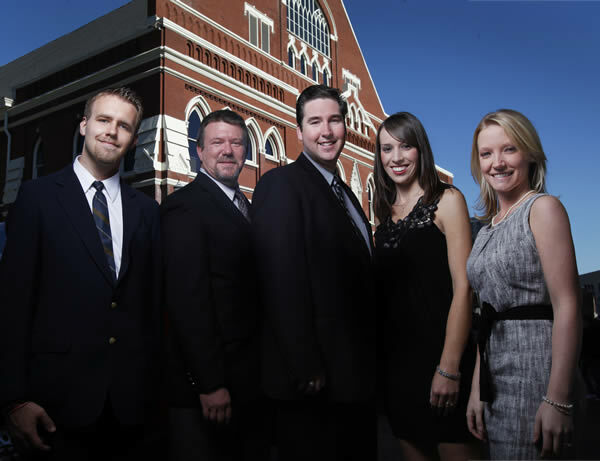 With the help of talented new band members Rachel Johnson Boyd and Dwayne Anderson, along with veteran Chris Bryant, Brooke and Darin are poised to make 2012 they best year yet for the sweethearts of bluegrass. Darin & Brooke Aldridge and band.